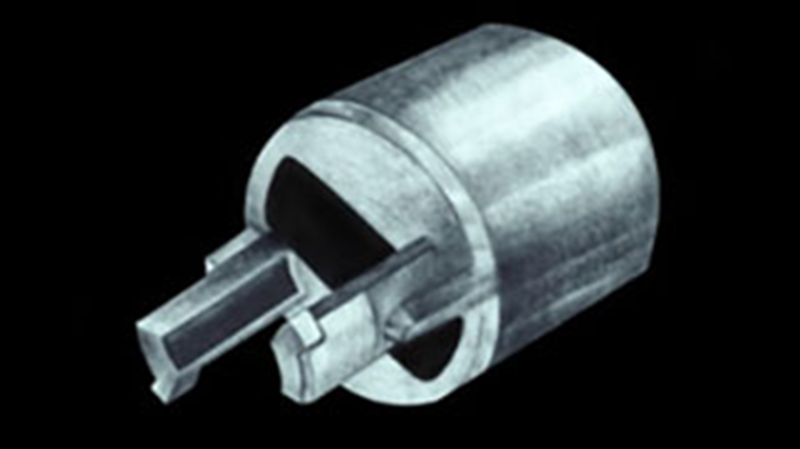 The latch assembly is a small device located in each fuel channel at the downstream end of the fuel channel. The purpose of the latch assembly is to prevent the fuel from traveling or moving down the channel. The water flow through each channel exerts a tremendous pressure on each fuel bundle.